NPO Showcase - American Heart Association from GRTV on Vimeo. NPO Showcase is just one of the many ways that the Community Media Center serves the nonprofit community. For information about this and other CMC services for nonprofits, or to schedule a future interview, contact Nonprofit Outreach Coordinator, Anna Geurkink, at 616-459-4788 x105 or email [email protected]. 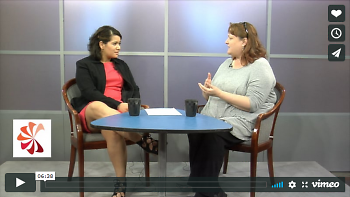 NPO Showcase sits down with Cindy Bouma, Communications Director of American Heart Association. Cindy says it takes only 30 minutes a day of excercising to decrease chances of high blood pressure and potential heart diesease. Excercising can be as simple as walking 30 minutes a day, as long as you're moving you are taking great strides of keeping your body healthy and preventing future health problems.